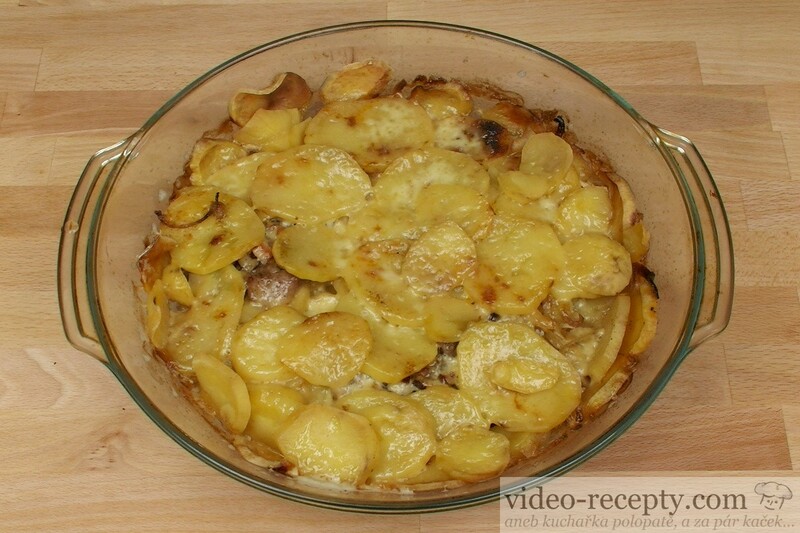 Excellent and absolutely simple dish which is ready for a while. Roasted pork neck on bacon will start with peeling potatoes. Their quantity is chosen according to the number of diners. 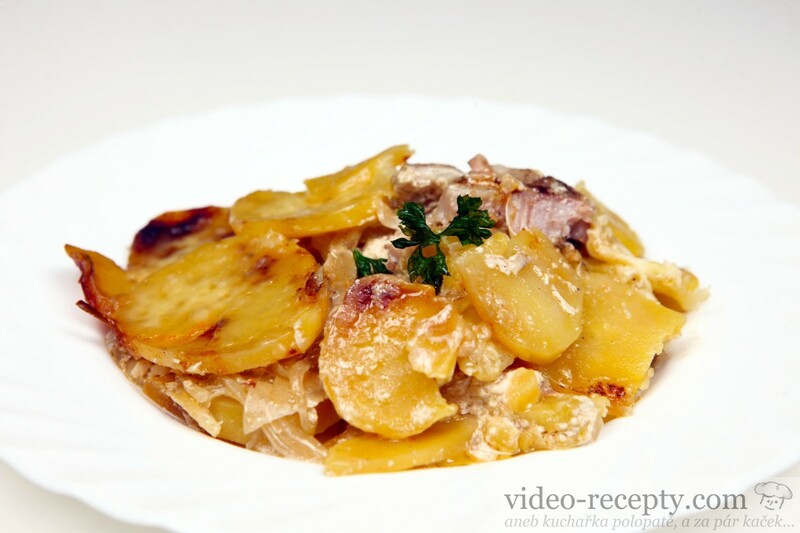 Peel the potatoes and cut into slices with a thickness of about 3-4 mm. Also chop two onions in half-moons, or smaller pieces. Into a baking dish put one tablespoon of oil, and spread all over. Now you begin to add all the ingredients. You can either lay them down neatly or just throw everything in a roasting pan, add salt, pepper, stir and put in the oven. 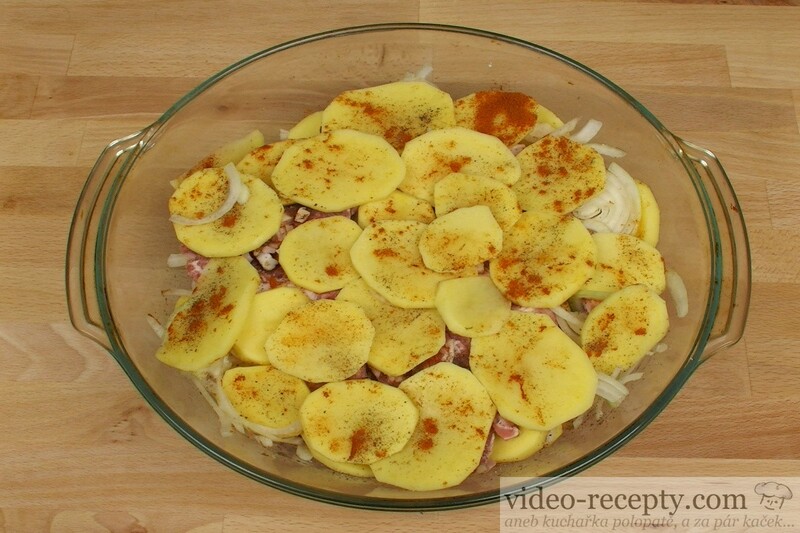 However, the food looks better when stacking everything neatly into a baking dish as you can see on the video. You can pound the pork slightly with a meat mallet to tenderize a bit. Pepper, salt and paprika can be replaced with the grill seasoning, which contains all of these ingredients. In this case we use about 2 tsp of grill seasoning. Covered baking dish put in the oven preheated to 180°C and bake for about 1 hour. 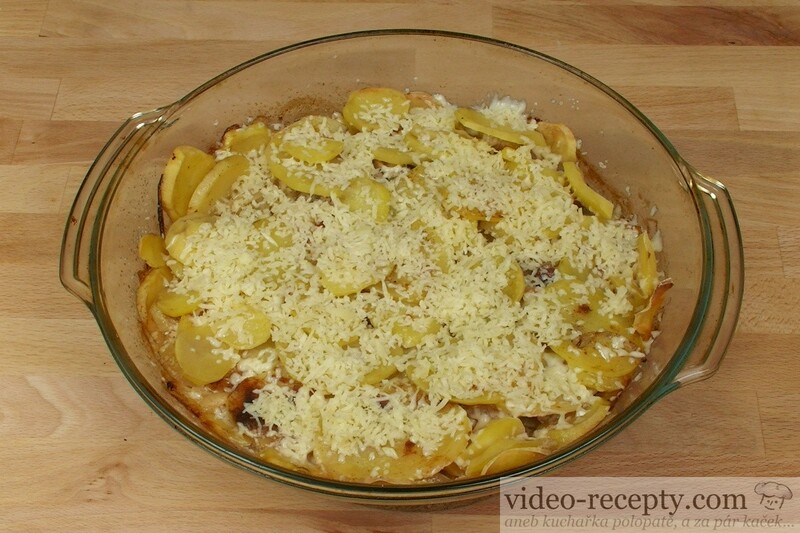 Then sprinkle with grated cheese and bake until everything is tender and has golden finish. 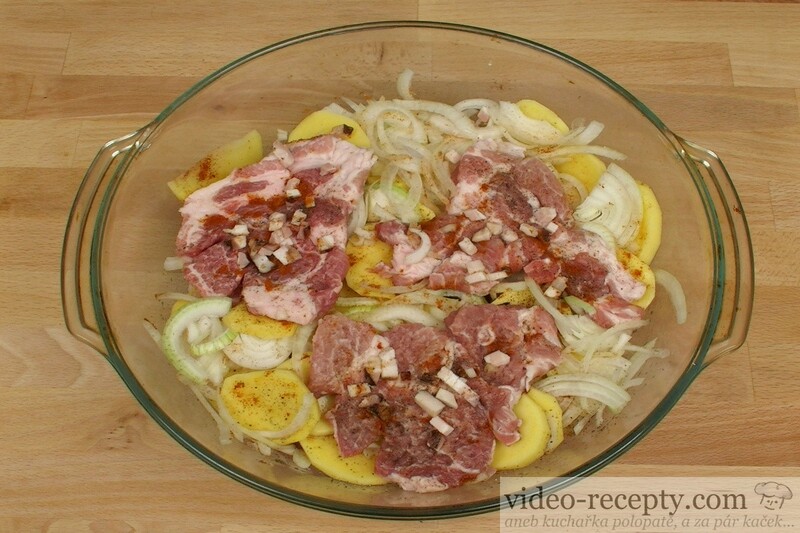 Other video recipes with pork can be found HERE. As the only reward from you is the recognition that we do it well. If you think so, join us on Facebook. True home made potato soup will satisfy even the greatest gourmets. | The soup is traditionally the best with crusty bread, and if thicker, can be served as a main dish. | If you do not want glutamate, use home made dried vegetable. Recipe can be found HERE. | If you do not want to use meat bouillon cube, you can use about 1/2 liter of strong broth. If you do not have handy grill, then you can also do it on a quality pan. You proceed in the same way. Set a temperature of around 160°C and do not use any oil - as there is enough fat in pork itself. Serve with bread, pastries, but the best with potatoes. Little-known, quick and cheap dinner is one of the most viewed recipes on our website. Very simple, delicious and energy-balanced fruit cup without chemicals and stabilizers. | We can use any fruit compote, including pumpkins. If you are looking for diet food, tofu has almost no competition. By itself, tofu hasn´t much taste, which is a great advantage because we can flavore it just the way we want . Do not inhale vapours while cooking. They are very well known, but not everyone knows that they are very simple to prepare. Older children like to prepare them - perhaps because of rum. | Of this amount we get about 30 wasp nests. Very healthy salad that can be eaten by itself, or it is also excellent with fish. Delicious pea soup which can be cooked not only for special occasions. It is prepared for a few bucks and it is very tasty. For this recipe it is absolutely crucial quality sausages. If you buy the cheapest sausages, thus will be the results. 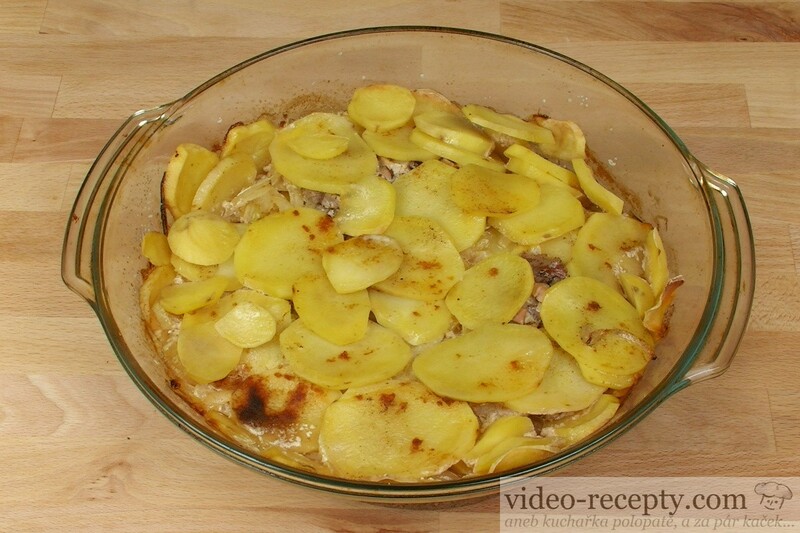 Excellent cheap and healthy delicacy, which, according to our video you can prepare quite easily. | According to this recipe you can make about 24 regular-sized fingers. Strudel knows everyone. But do you know how to prepare it, in what ratio and what can be added? The ingredients of the vegetable patties, you have full under control. For a few bucks you get plenty of healthy food without any chemicals. | Vegetable patties can be easily freezed. Put them in the freezer with a cutting board, and after an hour move them into a large plastic bag. Delicious food with broccoli even for vegetarians, if they omit meat. It is very simple and delicious dish. 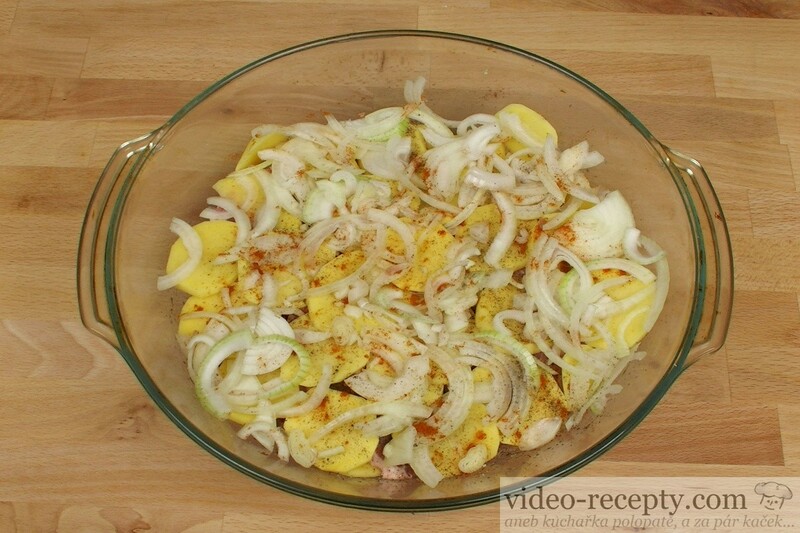 | If you leave the meat in the marinade for several hours to rest, the taste will be much softer. After 12-24 hours in the marinade, it will be a real delicacy. Vegetarians can omit the meat, even though it's a delicious and light dish. Cabbage is suitable for many dishes. According to this manual, you will have it with a great taste and a short preparation time. Egg spread is ready in a minute and is made of ingredients that are always in the fridge. |Creamy egg spread is excellent with bread and pastries.